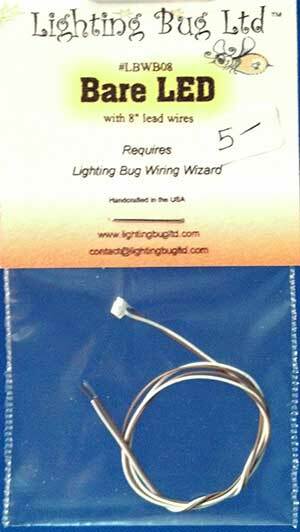 Lighting Bug Wiring Wizard – Doll House Version – Lighting Bug Ltd.
You asked for it! 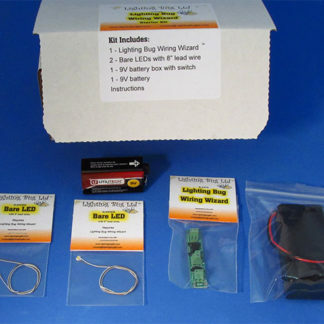 A new wiring system designed for 1/4″ scale but usable for any project, the Lighting Bug Wiring Wizard kits contain everything you need to add light to a quarter scale room box or dollhouse. 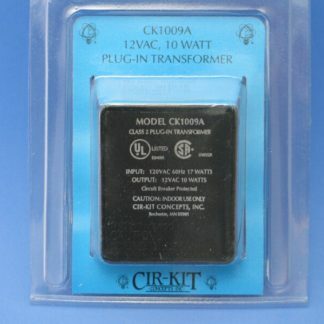 Best of all, NO soldering is required. 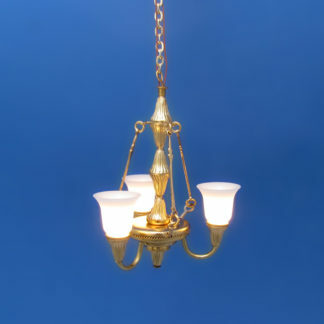 All lights have wires that you simply place into the screw terminals and tighten with a small flat-blade screwdriver! 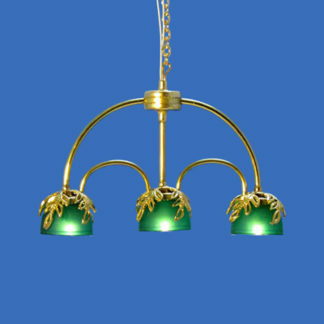 You can add more Bare LEDs for even more light. 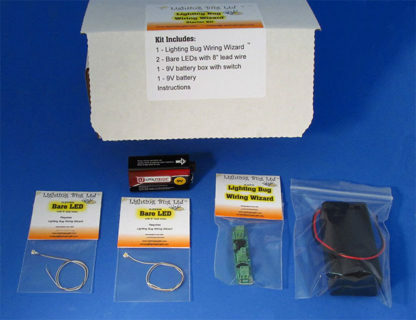 You get the Lighting Bug Wiring Wizard board, two or four Bare LEDs, a battery pack, 9V battery, and instructions. 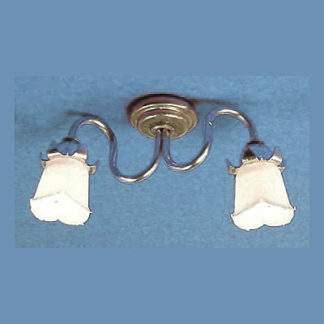 Be sure to check out our new line of 1/4 scale ceiling lights designed to work only with the Lighting Bug Wiring Wizard.